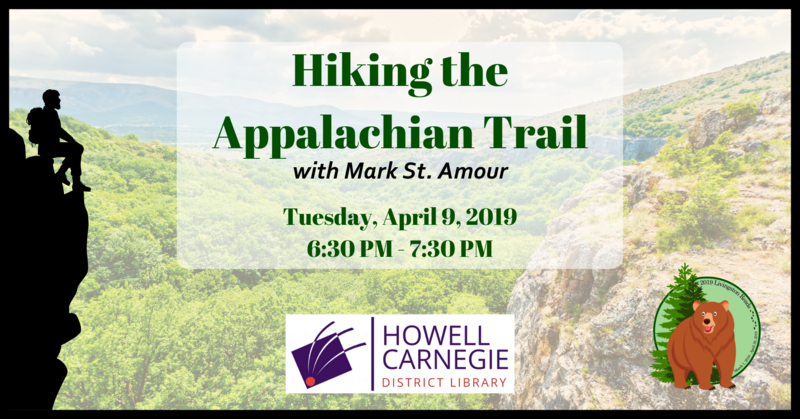 In 2012, Mark St. Amour celebrated his retirement from the Ann Arbor Police Department by fulfilling a life-long dream: hiking the Appalachian Trail. Hear about his “trek of a lifetime” from Georgia to Maine on the longest hiking-only footpath in the world. Seating starts 15 minutes prior to event start time.